iPad is most selling iOS device after iPhone we can say, the bigger user interface and superior resolution make it most preferred iOS device to play games and to access any other apps on it. Due to lack of jailbreak many iOS users are unable to access Cydia, that means the users are not allowed to download their favorite content on their device to access their preferred games and apps on it. Here we are introducing an app called ‘Emus4u’ which let you download a wide range of Cydia tweaks without jailbreak to your device, the best part of this is that it is free for any apps you download from the Emus4u store. 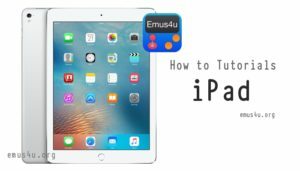 Emus4u is available for download on your iPad, here we are showing you how to download it on your device. As Emus4u is a store where you will find all the Emulators you used to get from Cydia, now due to lack jailbreak it is hard to get Cydia access to your iOS device Emus4u is here for you to get your favorite Emulators on your iPad. Having bigger screen is the plus point for an iPad where you can play your favorite retro games with more efficiency and at the same time, you will be able to enjoy your favorite tweaked apps in a big surface. According to sources most of the game lover iOS user these days prefer bigger display to play games on it and here iPad is a big win for them. Here below we will show you the way how to download Emus4u on your iPad, just follow every step given below and get it to install, before heading towards the download Emus4u you must be concerned that your device is connected to an active Wi-Fi or Cellular data service. Open Safari browser from your iPad. Type www.iinstaller.net into the address bar. When a new page appears Tap on the Install button in the yellow bar. Allow the permission to Emus4u install on your device. A Settings page will appear, tap on Install. Type your device passcode if asked to do so. From the new pop-up window tap Install. Now tap Done at last. Go to your iPad Home Screen, Emus4u will be there which is installed on your device. If you are unlucky enough then while installing Emus4u on your device you may find some errors. Both the errors can be fixed following a few simple steps. If you get Profile Installation Failed Error, open the link to see how to fix it. When Emus4u is installed and not working, go to Settings > General > Profile and Device Management, open Emus4u profile tap on it and then tap on Trust on the Emus4u certificate. Now you can enjoy Emus4u on your iPad to download your favorite tweaked apps and games, comments below your opinion on Emus4u. like, follow and share it with your friends on Facebook and for more updates.